The Meinl 60th Anniversary Timbales are made from the finest German B10 cymbal bronze and feature 10 inch deep shells. The extra deep shells provide super projection and thunderous tones. 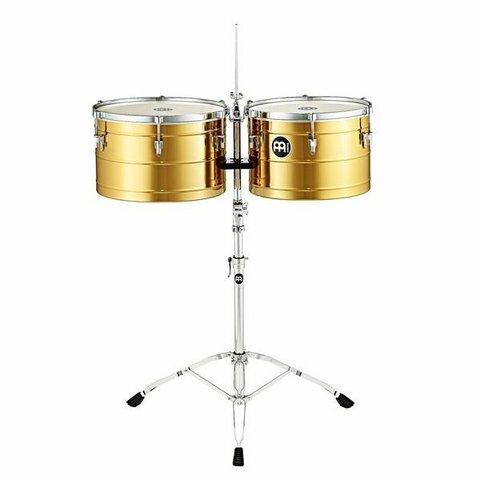 The bronze alloy produces a fantastic warm sound with cutting rim shots. This set features 14 x 10 Inches and 15 x10 Inches shells, adjustable cowbell holder, and height adjustable tilting double braced tripod stand.